You might think bicycling is about leg power, but the power of gab is even a more high-octane fuel to pedal up those steep grades on the 13-mile Red Rock Scenic Loop. 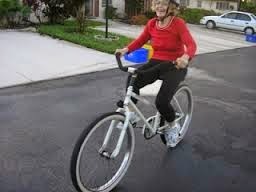 Thank God I bike with a bunch of yentas who are truly gifted gabbers besides being wonderful co-bicyclers. It all played out on this morning bicycle ride, when I joined four bicyclists for a un-hammer-like ride from the local Dunkin Donuts at Nevada Road 159 and Desert Foothills Road. Let's take a pedal backwards and see how we assembled our motley bicycle crew. Last year, I met Scott Sofferman, a New Yorker like myself who just turned 60 recently and teaches veterinary medicine at a Vegas-area college. We met on the scenic loop about a year ago and we chatted our way up the scenic loop from the 3,600-foot elevation at the entrance to the 4,771 feet at the loop's apex. We became quick bicycle buds and today Scott unveiled his gorgeous new Bianchi, equipped, of course, with the Century X bicycle seat. The dude racked up his 777th scenic loop ride this morning -- what a way to celebrate his new carbon metal horse. Here's Scott with his new ISM Century X saddle. 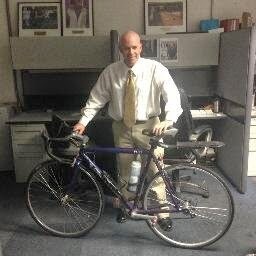 Then there's my old standby, fellow Review-Journal journalist Kevin Cannon, a gifted photographer who bikes with me all over the Las Vegas area. He biked about ten miles from his house to our starting point this morning, and he offers a lot of comic relief. Next up is Anthony Rossi, another New Yorker bicyclist I met on the scenic loop just like Scott when the both of us were all alone around 10:30 a.m. about a month ago after most of the other cyclists were off the road on this steamy and hot August late morning. Anthony has owned Broadway Pizzeria on Rancho near the Charleston Blvd. corner for the past 18 years. He's pizzeria royalty in the Las Vegas area, serving up delicious slices for everyone from celebrities to even the folks at the RJ. We took a few moments for a break at the loop's overlook, meeting up with a couple, including a friendly fella nice enough to snap this photo. The weather was exquisite. It was in the 60s and super dry when we took off and the ride back to town was fantastic. Once you bike in Red Rock Canyon, the day is automatically a good one. Last ride with my Chicago pal Ira David, creator of the Pedal America TV show on PBS. Another Interbike has come and gone. The march of the fluffy beards and tats; the Sierra Nevada Pale Ale at every corner. The ogling of gorgeous bikes and parts. I enjoyed reporting two stories for the Review- Journal. The first story on Lance and Lynn Sisson of Las Vegas launching their fat tire bike business called 11nine. Then, there was today's story on Interbike opening its doors to consumers for $20 per person on Friday. I had a wonderful time reuniting with old friends like Ira David and Steve Toll. It was also fun to meet new local bicycle folks, like Collen Corey of Gizmo, a Las Vegas company. 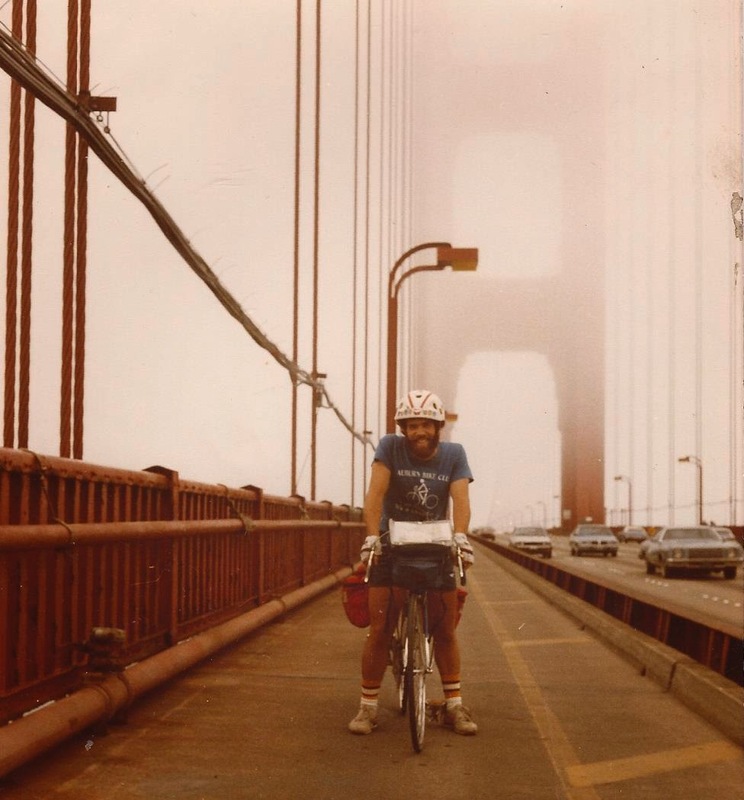 And Joe Kurmaskie, the Metal Cowboy author who grew up in Tampa, was back in action peddling his Arkel bicycle panniers and gear. Gary Fisher looked mighty fine in his suit and tie at Interbike today. Bicycle Stories caught up with the dapper cyclist who enjoys dressing for the occasion. Interview with Interbike chief Pat Hus. On the Viva Bike Vegas ride: Hus said Interbike could not promote Saturday's Viva ride because the ride -- now put on by the Perimeter Bicycling Association of America instead of the RTC -- chose a Caesars property (The Linq) for ride bicyclists to pick up their packets when Interbike is using an MGM Resorts International property (Mandalay Bay) for the trade show. Caesars and MGM are fierce Strip competitors. It's too bad that the Viva Bike Vegas ride event and Interbike could not get on the same page because the Viva ride would bring lots of recreational cyclists to Vegas because Interbike now is holding a consumer day on Friday (the day before the Viva ride) when anyone can pay $20 to enter the B2B trade show. As it is, the Viva ride will probably have only 500 bicyclists, compared to about 1,800 participants when RTC ran it last year and about 2,300 in 2012. On Friday -- Consumer Day: Hus supports the concept of letting people off the street into the show for $20 because he believes it's a good idea to let the bicycle consumers see what the bicycle industry is all about, while allowing bicycle and components makers the chance to get feedback from their customers. He also said Friday is usually a slow day anyway and that some exhibitors already let non-industry people into the show by giving them badges to enter. Hus said there are 900 pre-registered consumers and his goal is for 2,000 on Friday though he mentioned 1,500 might be more realistic. He said SRAM is adamant about having consumers. Some exhibitors don't like that consumers and non-industry people will be taking up time at booths on Friday because they want to use as much of their time to conduct business and take orders. Also, exhibitors are not allowed to sell anything to consumers. On the new Interbike industry awards dinner Thursday night: Hus likes the inaugural awards dinner because he believes it will keep company executives in town longer. On the move from the Sands convention hall at the Venetian to the Mandalay Bay convention center on the south end of the Strip: Hus said exhibitors have told him that the service is better at Mandalay Bay than at Sands and that moving bicycle items is easier at Mandalay Bay than Sands. On the red carpet inside the exhibitor hall: Hus said the red carpet sections of the trade show floor leads to the lobby. On the Mandalay Bay convention center deal: Interbike is committed to Mandalay Bay until 2016. On the numbers: About 1,400 brands and 25,000 attendees during the three days. How incredible is it to see amazing bicycle people like Steve Toll of Tampa, who has launched a saddle empire with his ISM bicycle saddle, and Chicago's Ira David, who created a fabulous PBS TV show called Pedal America, and is back at Interbike to network and line up sponsors. 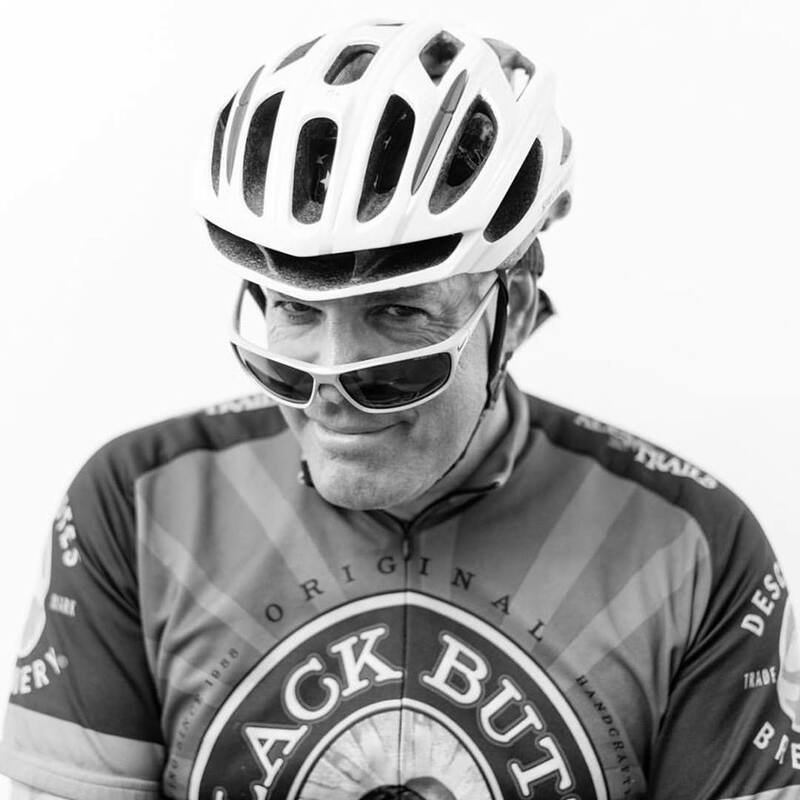 It's always a charge to see Joe Kurmaskie, the Metal Cowboy author who now sells Arkel bicycle bags. It's about renewing friendships, but also writing stories for the Las Vegas Review-Journal. Check out today's story on a couple from northwest valley using a remote Interbike floor site to launch their 11nine fat tire business. It was cool to meet Lance and Lynn Sisson and write about their story. Let's look at a few more scenes. The plethora of bicycle goodies goes on display Wednesday morning at Interbike, but on Tuesday night the media got a sneak preview of a tiny micro-slice of the action at Mandalay Bay. It was so cool to see a light built into the frame. It's a Swiss brand named Stromer and it interacts with your iPhone. Adrienne Hester is doing marketing for the launch of new eBike, Kayman, based right here in Las Vegas. These guys were showing a jersey that was amazingly light -- just perfect for Las Vegas summers. What a gorgeous cargo bike -- and Ira David of Pedal America was on the scene to check it out. On the day before Interbike moves into the Mandalay Bay Convention Center, Interbike works with the Ride 2 Recovery folks for an annual Tuesday morning ride. It's inspirational to see the vets on wheels -- and I make sure I'm there to see the ride take off. Here is Ira David Levy at the ride start. Today is the second day of the Outdoor Demo in Boulder City before Interbike is held Wednesday to Friday at the Mandalay Bay Convention Center. For the first time ever, the B2B show will invite the public to attend on Friday for $20. 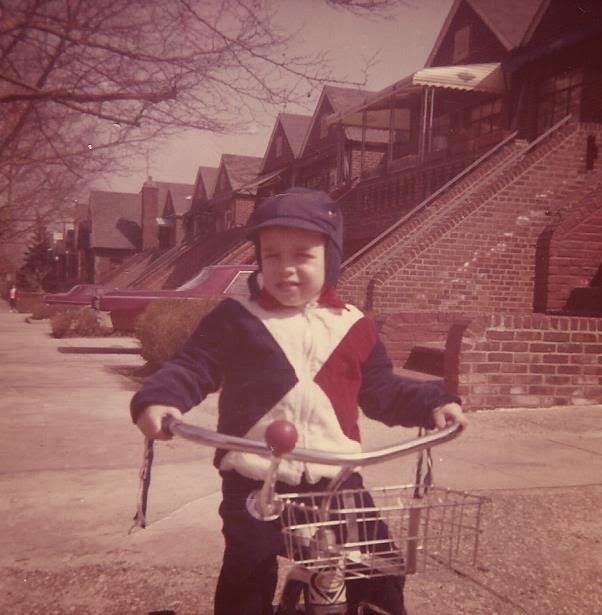 These days, I don't zip out of bed and on to the bicycle as effortlessly as I once did. And this being Sunday morning, I played around way too long on Facebook and fiddled about knowing that I wanted to bike the Scenic Loop today. So, instead of leaving between 6 a.m. and 7 a.m., I left with a brave face at 9 a.m. with temperatures already hitting the 90s. But it's dry heat, right? I felt strong as I pedaled through Red Rock Canyon to the Scenic Loop entrance, showed the booth man my annual Red Rock pass and proceeded to start biking up the Loop. And right behind me was another bicyclist. I learned that his name was Anthony, he owns Broadway Pizza on Charleston and Rancho, is from Long Island and enjoyed his time in Denver before moving to Vegas 18 years ago. Another Scenic Loop ride, another friend. We chatted pedaling up the steep, slanted terrain and flew down the final eight miles. Anthony ended his ride at the overlook on SR 159 and it was nice to know that I made another friend on the Scenic Loop thanks to starting my ride so late. Sadly and regrettably, I have been involved in planting too many ghost bikes into the ground in the Tampa, Fla. area during my bike advocacy days there. Every bicyclist takes it personally when a driver of a motorized vehicle kills a cyclist. The thinking is that it could happen to me. So, this morning. I joined another 440 bicyclists to remember the life of Pete Makowski, a 33-year-old member of the Allegiant Air racing team who was killed in June 2013 when he was struck by a gravel truck on South Las Vegas Boulevard at mile marker 17 just south of Sloan and Las Vegas. 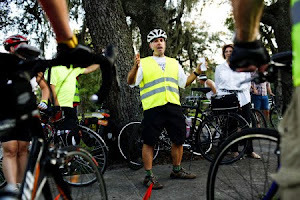 The "3 Feet for Pete" ride was held by Pete's fellow Allegiant members to tell the public that drivers of motorized vehicles are required under law to pass a bicyclist by a minimum distance of three feet. T-shirts handed out to participating cyclists had the 3 foot law's language on the back. The ride remembered Pete and also publicized the 3 foot law, drawing mostly roadies but also folks on mountain bikes and tandems. Here is my Review-Journal story on the 3 Feet for Pete ride today. It includes a video interview of Tony Gebbia of the Allegiant Air racing team. The vast majority of the road was closed to motorized traffic. Here's a narrow lane that just begs for a sign advising motorists that bicyclists can take the full lane. But instead, it's one of those pseudo share the road signs showing a bicyclist on the edge of the roadway. This is on Washington Street in Las Vegas. 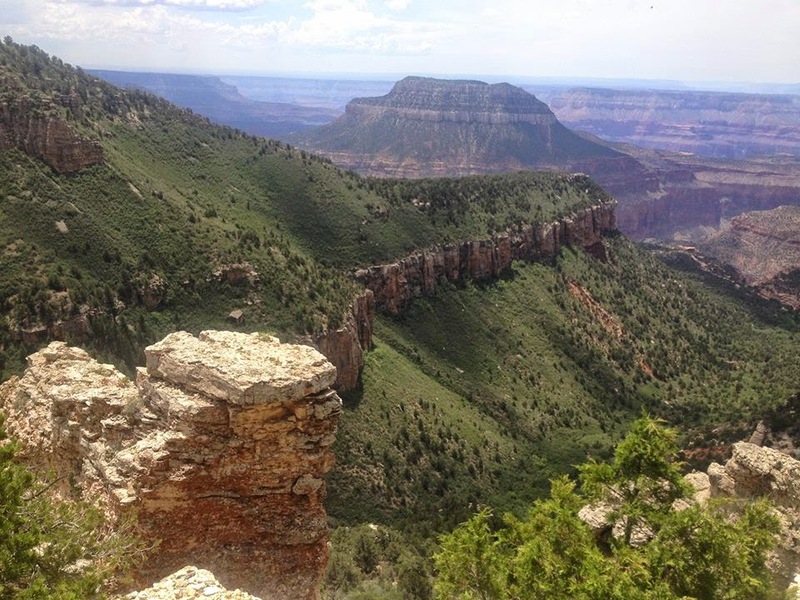 It was cool to see the Review-Journal run my story on mountain biking the North Rim of the Grand Canyon.